On Tuesday, a House committee heard arguments over the future of the controversial Driver Responsibility Program — which pits outrage over heavy traffic fines on the poor against the state's need to finance trauma care in hospitals, which benefit from the fines. Criminal justice advocates and hospital administrators gave lawmakers a preview today of the debate they'll face in the 2011 legislative session over the much-maligned Driver Responsibility Program. The program levies huge traffic fines that the state then uses to finance trauma care centers across the state. And that unique combination of revenue and spending has put two emerging issues on a collision course: widespread outrage over the program's heavy fines — which fall heavily on the poor — and the Legislature's need to continue financing health care in the face of a projected $18 billion budget shortfall. About 60 percent of some $1.8 billion in surcharges has gone uncollected since the Legislature created the program in 2003. 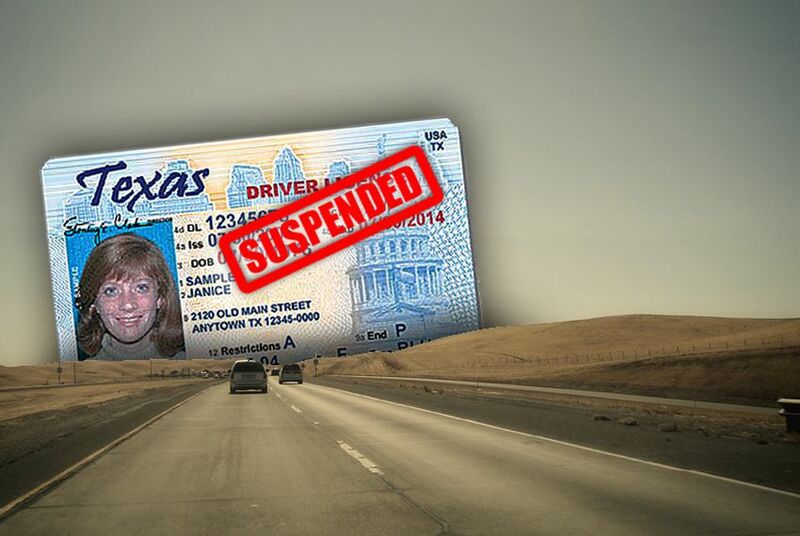 During the same period, more than 1.2 million Texans have lost their driver's licenses. Some of them — who owe hefty surcharges for violations such as speeding, driving without insurance or driving while intoxicated — continue to drive, racking up more fines. For low-income violators, that sometimes creates a rock-and-hard-place choice between paying the fines and, for instance, buying the insurance they were supposed to have in the first place. Then-state Rep. Dianne Delisi proposed the program in 2003 to generate revenue for trauma centers and roads while encouraging safer driving. Today, about half of the fines go to the general revenue fund, half to trauma centers and one percent to administrative costs at the Department of Public Safety, says Legislative Budget Board analyst Meredith Melecki. The program has generated $150.7 million so far in the 2010 fiscal year, she says. Already, some steps have been taken to reform the surcharge program. The Texas Public Safety Commission last month tentatively approved changes aimed at improving the program's collection rate and easing the burden on poor violators. But, as the Tribune reported, some lawmakers are skeptical that even those changes could save the Driver Responsibility Program, and it's likely to remain under scrutiny in the 2011 legislative session. On Tuesday, legislators on the House Public Safety Committee heard what those arguments likely will entail. The testimony schedule was stacked with hospital and trauma-system administrators, who told lawmakers that every penny they get from the Driver Responsibility Program counts. Criminal justice advocates pulled the other way, saying no evidence shows the program has actually increased safe driving, and that it should be reformed or scrapped altogether. "Trauma systems save lives," John DiPasquale, a doctor at Good Shepherd Medical Center in Longview, told the committee. His hospital got about $400,000 from the driver program last year — a "very small" part of the Level 2 trauma center's overall budget. "If they want to fix the bill, fix the bill," he says. "But don't kill it and kill the resources we're getting for trauma." The number of trauma centers in Texas has jumped since the program's inception in 2003. That year, the state had 188. Today, it has 257, according to the Department of State Health Services. That growth depended on help from the driver program, says Kathy Perkins, a nurse and associate commissioner at DSHS. Ana Yañez-Correa, executive director of the Texas Criminal Justice Coalition told lawmakers they should consider using money from the state's Rainy Day Fund to pay for trauma centers instead of relying on driver surcharges. The driver program isn't working, she says. "When you think about the unintended consequences this policy has created in the years it's been around, it's our responsibility as advocates ... to sit back and really take into consideration how harmful it's been." If the program isn't scrapped, certain reform measures are crucial, says Amanda Marzullo of the Texas Fair Defense Project. She wants the state to waive surcharges for drivers at or below 125 percent of the federal poverty level (about $29,000 for a family of four) and ease the burden on those above the poverty line, but still low-income. She also wants to allow judges to help defendants submit surcharge waiver requests. Whatever the program's fate, predicts state Rep. Lon Burnam, D-Fort Worth, the debate in 2011 will be about not only where money for trauma centers comes from but how it's allocated. And like other lawmakers, he welcomes the reform process for the Driver Responsibility Program, confounding as it may be. "I'm glad that you're moving forward on doing some flexibility, because this remains profoundly unfair to my constituents." The public comment period on the Public Safety Commission's proposed changes closes Sept. 7.